Important notices, FAQ's and news about this web site . Give us your feedback about this web site and/or suggestions on making it better! This is also the forum to place any and all account/site/forum questions for support. Greetings! Say Hello to the Lupus Regni Members! Character sheets and breed information. OOC pack stats and territory descriptions. 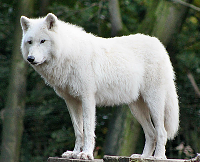 Discuss topics related to wolves! A place for discussion on topics that may not be wolf related. Here you can make requests for signatures, avatars, and other artwork. You may also put something original to show off your skills or ask for input on how to develop as an artist. Going away for the weekend? A week? A month? Forever? Leave your notices of absence [and returnings] in here and only here. Shades of the Past - Lounge, etc. We know this world affectionately as The Realm of Wolves. A single continent exists on our planet where Man died away millenia ago and wolves have mystically evolved to take his place. Many new beginnings have been marked by two recent, tumultuous events. The first was the Battle for Tirith Isla. It was a war that destroyed the island and decimated its rightful heirs-- the Elementals. The second was the escape of The Nameless from exile. With the Black Queen Cerberus long since gone, The Nameless has seemingly had no trouble consolidating her powers and retaking her place as The Queen of Hell. The remaining light wolves in the Realm have heard rumors of what has happened, but likely can't imagine the horror of what is to come. It is time to prove where your allegiances lie. Will you join the forces of Light to stem the tide or will you join her Dark Majesty and raze this world to the ground? "Everybody has a secret world inside of them. I mean everybody. All of the people in the whole world, I mean everybody — no matter how dull and boring they are on the outside. Inside them they've all got unimaginable, magnificent, wonderful, stupid, amazing worlds... Not just one world. Hundreds of them. Thousands, maybe."